If you’re a high earner, you may feel your wealth is under attack. Pension allowances and tax relief have been slashed. Dividend tax has increased for many. Changes to stamp duty and mortgage interest relief make it much harder to profit from buy-to-let. Politicians of all stripes – even those you thought were on your side – seem to believe they need your money more than you do. So where can you turn if you want to invest tax efficiently? Download your free guide by Ian Cowie, award-winning Sunday Times columnist, to find out. The trade-off is that if you are a high net worth individual or sophisticated investor you could enjoy significant benefits. Your details will be kept safe and only used to occasionally send you relevant information, such as investment research, exclusive deals and tax updates. We’ll never share your details with anyone else, unless required by law. If you don't want to hear from us, please let us know. 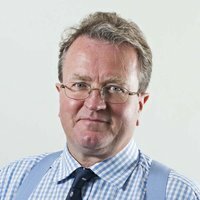 Ian Cowie joined The Sunday Times as Personal Account columnist in 2013, having been personal finance editor of The Daily Telegraph since 1989. He was judged to be Financial Commentator of the Year in the Headline Money Awards 2015 and Consumer Affairs Journalist of the Year in the 2012 London Press Club Awards. Other awards include the Wincott, Association of Investment Companies and the Association of British Insurers; he won Journalist of the Year for the first three years of the ABI Awards. Cowie joined the Telegraph as City Reporter in 1986. Writing about savings and investments since then, he has seen and survived several stock market setbacks but continues to believe that a disciplined approach and tax-efficient strategies can prove successful despite adversity.